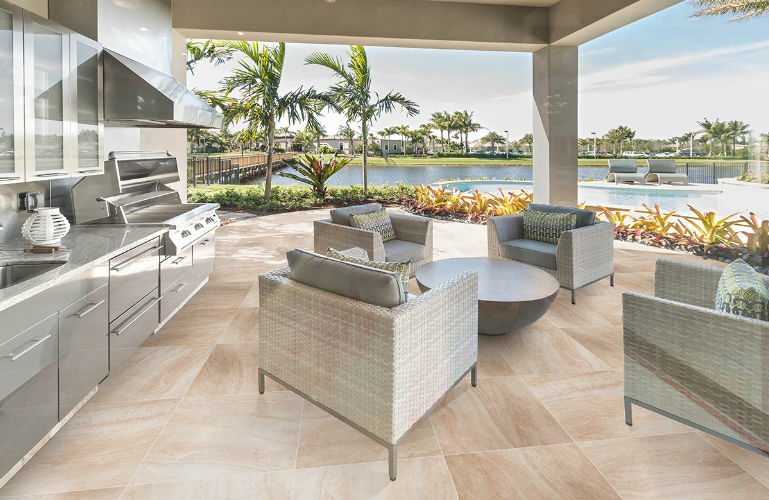 Soft creamy tones swirl together in harmony in Praia Crema Arterra Porcelain Pavers. Suitable for both indoor and outdoor use, install these tiles to create stunning floors throughout residential and commercial properties where a low maintenance, easy to clean, and durable material is needed. The large format and matte finish allows it to be used for projects with design styles from traditional to modern.